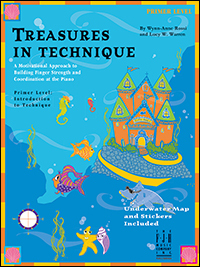 By popular demand, Treasures in Technique now has a Primer-level “prequel” to introduce the series. Students learn technique while collecting “treasure” on a delightfully imaginative trip to the seaside. 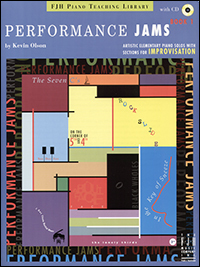 Techniques emphasized are: correct posture and hand/arm position, legato, right-hand/left-hand coordination, dynamics, playing skips, and parallel and contrasting motion. 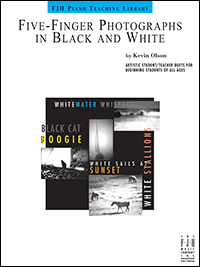 Featuring artistic student/teacher duets for beginning students of all ages, Five-Finger Photographs in Black and White is an exceptional collection of six five-finger pieces. Written in a variety of styles and played on exclusively black or white keys, these pieces are excellent for recitals. This enjoyable collection is arranged for the beginning pianist who has some knowledge of accidentals and simple meters. Most pieces are in Middle C position with occasional hand position changes. Features optional teacher duets. Delightful beginning-level pieces from Europe, Asia, Africa, and North and South America. All arrangements are written in Middle C position, and include optional teacher duets. Superb for use as sightreading material or for performance. 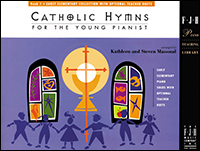 A treasure of Catholic Hymns selected and arranged for the beginning pianist. All arrangements are in easy 5-finger positions, many in Middle C Position. Optional teachers duets are included. Illustrated in color. 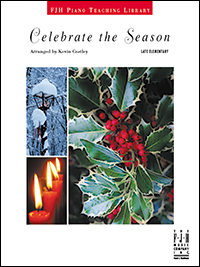 Contents include: Jesus, We Adore You; Faith of Our Fathers; Sing of Mary; Holy God, We Praise Thy Name; Come Holy Ghost; Immaculate Mary; and more. Explore some of the most beloved Hebrew melodies that celebrate Chanukah and Passover, as well as other folk traditions. 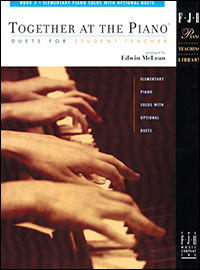 The arrangements in this collection, written for the early-elementary pianist, include teacher accompaniments, traditional lyrics, and a special pronunciation guide at the beginning of the book. 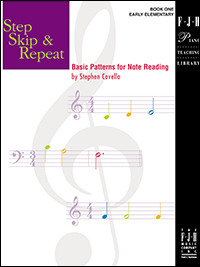 The first of a two-volume reading course designed to enable students of all ages to read music using the three basic patterns of step, skip, and repeat. 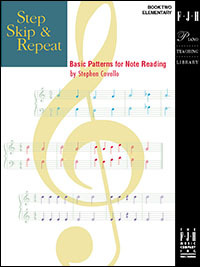 Book I contains: basic instructional material with written work; etudes - progressive melodic pieces consisting of steps, skips and/or repeated notes; and songs - well-known folk, traditional, and classic tunes. 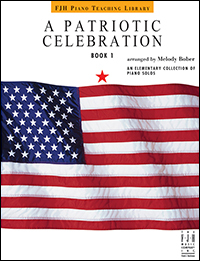 This outstanding compilation, arranged by Melody Bober, helps celebrate the spirit and heritage of America. Contents include: Yankee Doodle; Anchors Aweigh; You’re a Grand Old Flag; America, the Beautiful; The Marines’ Hymn; American Patrol; The Caissons Go Rolling Along; and The Stars and Stripes Forever. 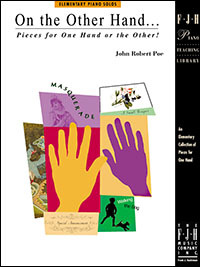 Fanciful miniature pieces that highlight various features of elementary technique (legato melody playing, staccato, crossing hands, etc.) Each piece is accompanied by a poem, adding to the fun and imagery. 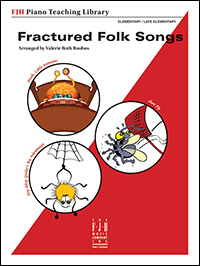 Inspired by Saturday morning cartoons, this amusing collection presents familiar folk songs with an added (quirky!) twist–the music and words are slightly changed to make them fun. 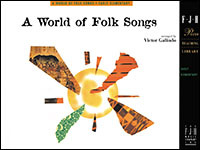 Some titles include: Home on the Strange; Hush, Little Monster; I’ve Been Waltzing on the Railroad; Plop! Goes the Weasel; and more. Written with accidentals (not key signatures), these solos are two pages in length with lyrics. 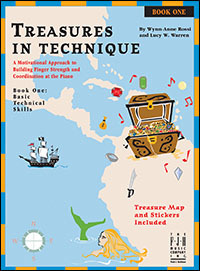 A fun book for a 1st-2nd year pianist, it could also be used as a “sight reading at your lesson” book for your higher-level students. 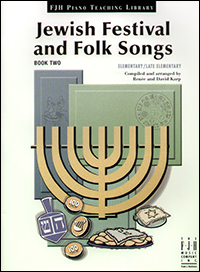 Arranged especially for the upper elementary-level pianist, these arrangements may be played and enjoyed by anyone interested in exploring Hebrew music. 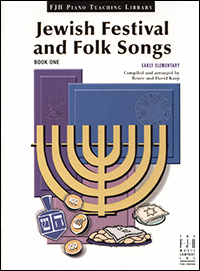 Contains teacher accompaniments and a special guide to aid in the pronunciation of the Hebrew words in this collection. 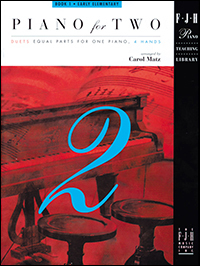 This extraordinary collection of elementary piano solos features music written for one hand alone that can just as readily be performed with the other hand! Each of these short, creative pieces allows the student the opportunity to concentrate more intently on specific, technical aspects of the music such as: dynamics, phrasing, and articulation. A splendid choice for technical development and student motivation. 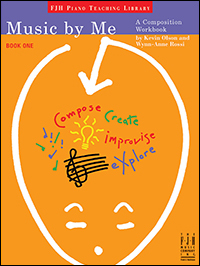 A collection of expressive solos designed to give students a creative opportunity to experience freedom and exploration through the art of improvisation. Each solo is provided with beginning instructions to direct the student in their improvisation in the section to follow. Each piece concludes with a short written-out ending in the student part, and comes with a teacher accompaniment, as well as recordings with practice and performance tracks. 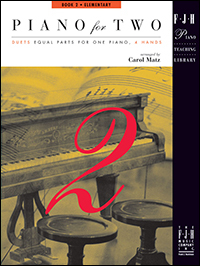 Covello's simple yet ingenious approach to basic music reading is expanded in Book 2 to include hands-together playing. Sequential and methodical, the second installment of this unique reading course drills pattern recognition through playing in parallel motion at the octave, and at the third and sixth. Features etudes as well as familiar songs. 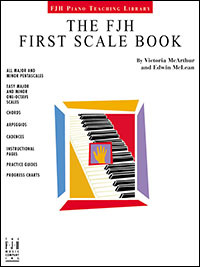 Perfect for the elementary student, this innovative scale book provides an introduction to scale theory and technique that can be used after the first few lessons! The concepts are explained in an easy-to-read yet comprehensive format. 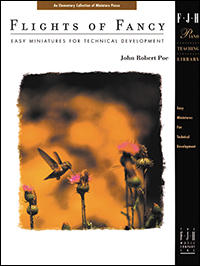 Included are: major and minor pentascales, chords, arpeggios, and cadences; one octave major scales (“white keys” only); major chord inversions; select one-octave minor scales and chord inversions; a quick guide to scale fingerings; and more. Includes: interval distances (up to the 5th), staccato, slurs, accents, dynamic changes, rests, changing tempos.